Una raccolta di 24 brani pubblicata per il mercato americano, che non aveva visto l'uscita delle altre raccolte "Hatful Of Hollow" e "The World Won't Listen". L'album contiene "Sheila Take A Bow", una versione differente di "Stretch Out And Wait" e le versioni registrate in studio di "Back To The Old House" e di "These Things Take Time". Il titolo � tratto dal libro "By Grand Central Station I Sat Down And Wept" di Elizabeth Smart. 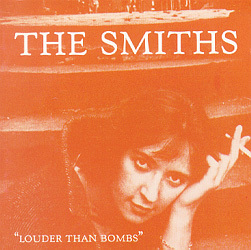 A 24-track compilation released for the American market, which hadn't seen the release of neither Hatful Of Hollow nor The World Won't Listen. Frustratingly, there are both tracks left off this album available on the other two, and tracks on this and not on the others. This album features "Sheila Take A Bow", a different take of "Stretch Out And Wait", and the studio versions of "Back To The Old House" and "These Things Take Time". The title comes from By Grand Central Station I Sat Down And Wept by Elizabeth Smart.